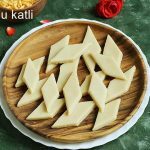 Kaju katli recipe or kaju barfi with video & photos. Easy & quick recipe to make perfect kaju katli like the ones we get in sweet shops. 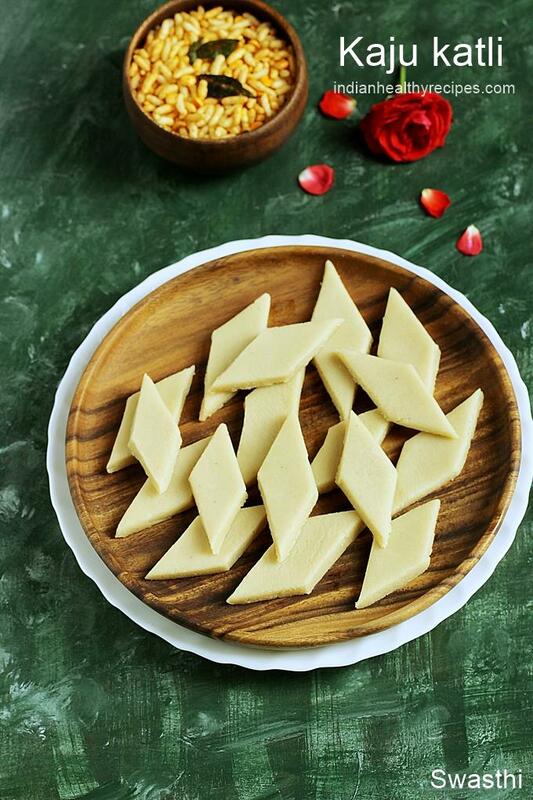 These kaju katli have a smooth & melt-in-the mouth texture with mild flavors of cardamom powder or rose water. Kaju translates to cashews & katli refers to thin slices. This classic sweet, kaju katli is one of the most bought sweets from the halwai & Indian sweet shops during festivals & occasions. Most Indians usually gift these to friends & relatives to spread the joy of festive or special occasions. Often people are intimated to make kaju katli at home as most recipes require checking the string consistency. But this recipe is very simple, quick to make & does not involve checking string consistency. Moreover kaju katli needs only a few ingredients that are always available in Indian kitchens. I always make sweets at home and avoid buying from shops or frozen sections as the store bought ones contain preservatives. We also do not know the quality of sugar and other ingredients used. With homemade kaju katli, you know what goes into it. We always have the option to use organic sugar and avoid artificial flavors. How is kaju katli made? Traditionally kaju katli was made by boiling the sugar syrup to a 1 string consistency and then the powdered cashews are added to it. This method yields great results as the mixture doesn’t get overcooked and the burfi turns right. 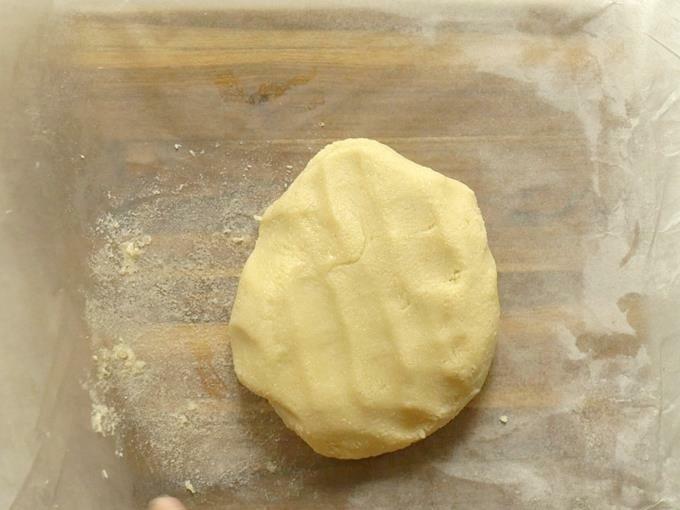 The method I have shown in this post is without making a string consistency which I adapted from my Badam burfi recipe. I have just brought the sugar syrup to a rolling boil and then added the cashew powder. Cooked further until it reaches a thick consistency. This method also gives very nice kaju katli just like the ones in the sweet shops. However if you are an experienced cook then you can also boil the syrup to a one string consistency and then add the cashew powder. 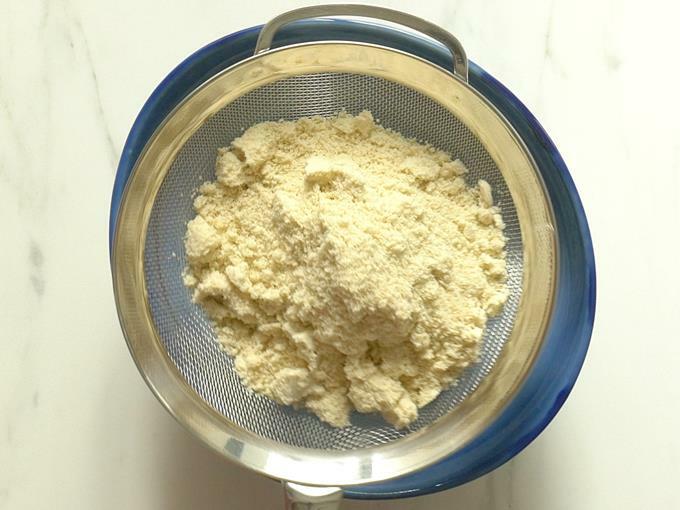 Make sure cashews are powdered as fine as possible without making the powder lumpy. Pulse the cashews in intervals and avoid running the blender for long time. Over blending the cashews or blending for too long will release oils from cashews. This will not give the right texture to the kaju katli. 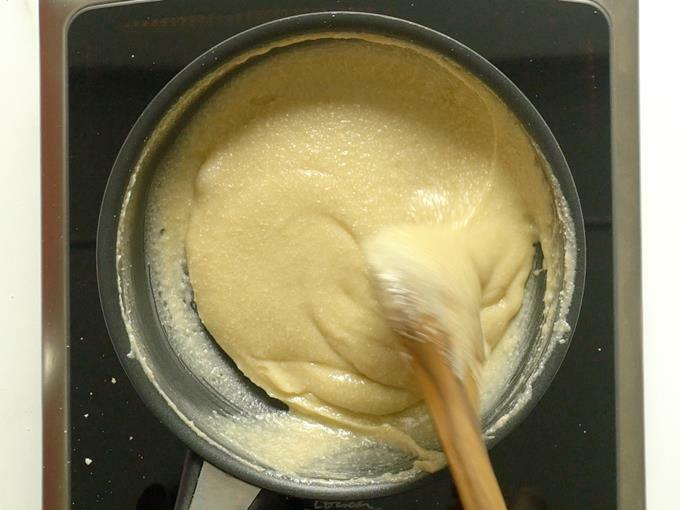 The mixture will begin to release oil if such powder is cooked. Do not over cook the mixture as it dries out the kaju katli. Kneading the mixture well is the key to get smooth and mouth melting kaju katli. Do not over blend the cashews to the extent they release oils. If the cashew powder turn oily, then it is not suitable to make kaju katli. Just use up the powder to make north Indian gravies and make a fresh batch of kaju powder. 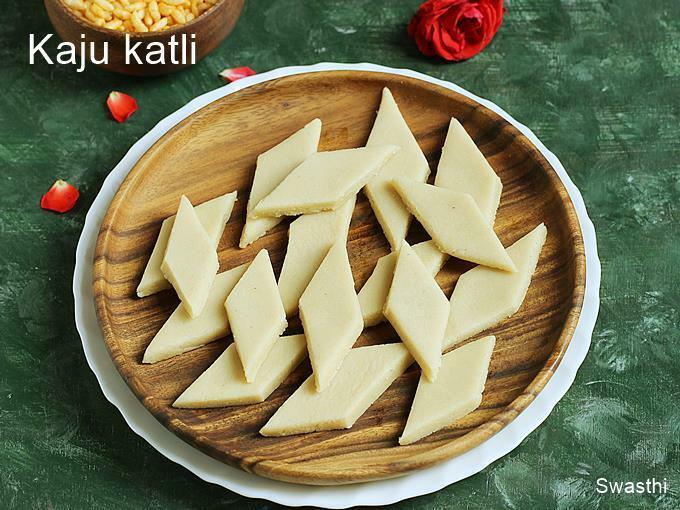 Kaju katli recipe or kaju barfi is a simple fudge made of cashews and sugar. 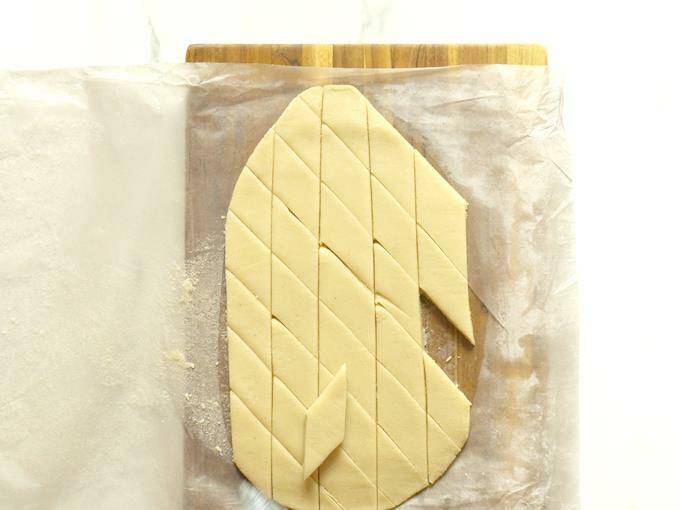 This recipe will help you to make thin kaju katli with a melt-in-the-mouth texture. 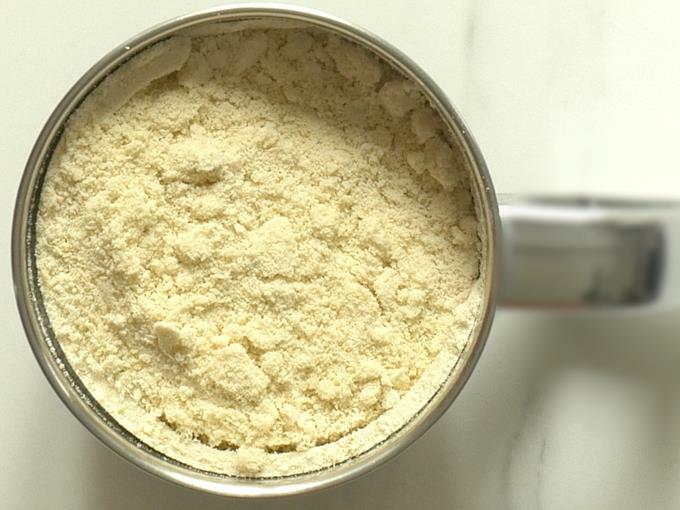 Add cashews to a blender jar and pulse a few times until it turns to powder. 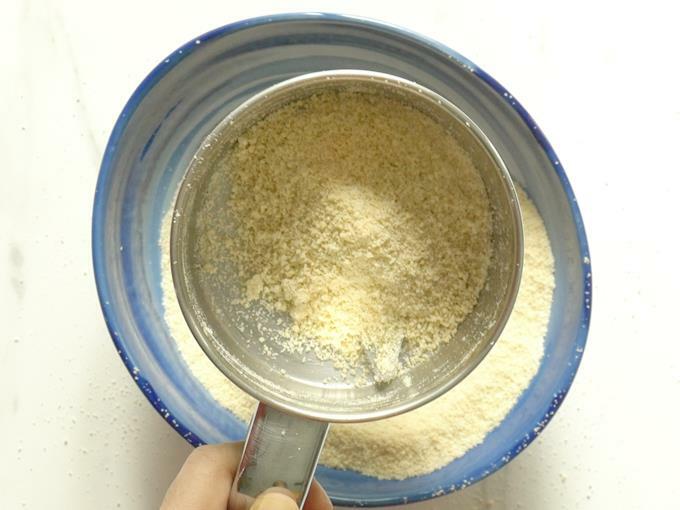 Do not run the blender for long time as the cashews begin to release oil and turn lumpy. To ensure the powder is not very grainy sieve it and blend the coarse particles again. The cashew powder will be slightly grainy. 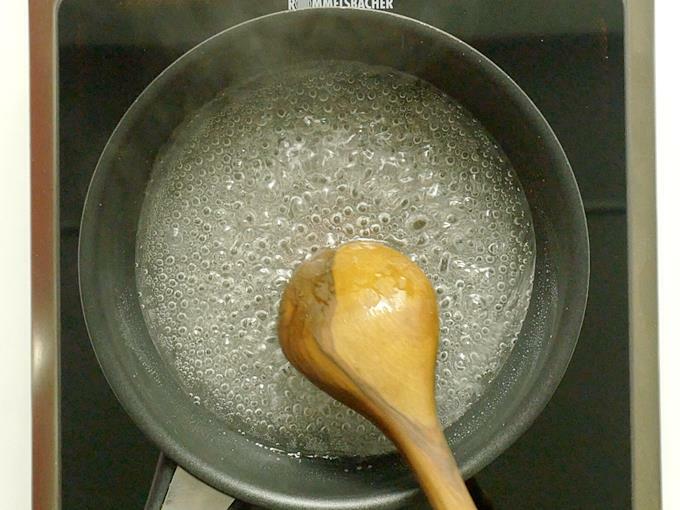 Add sugar and water to a non stick pan. Heat & dissolve it well. 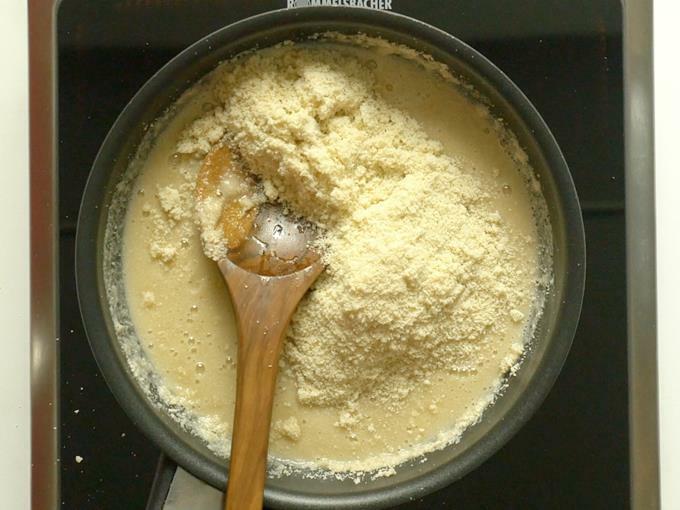 When the sugar melts off completely and begins to boil rapidly, add the cashew powder. Lower the heat. Mix well to blend the sugar syrup and powder. The mixture must be smooth without any lumps. Keep stirring and cook until slightly thick. Then pour rosewater and ghee. You can also add cardamom powder. Cook till the kaju katli mixture turns thick and begins to leave the sides of the pan. If it doesn’t then drizzle few drops of ghee and mix. At this stage the mixture should not look dry but has to be moist and sticky. To check if the mixture is ready. Turn off the stove and set the pan aside. Take ¼ tsp of this kaju katli mixture and cool down a bit. Roll it to a ball with greased fingers. You must get a ball that isn’t sticky. Upon cooling completely this has to get the texture of the katli or fudge. Next Transfer the cooked mixture immediately to a greased plate or butter paper. Let the temperature come down to warm or slightly hot. 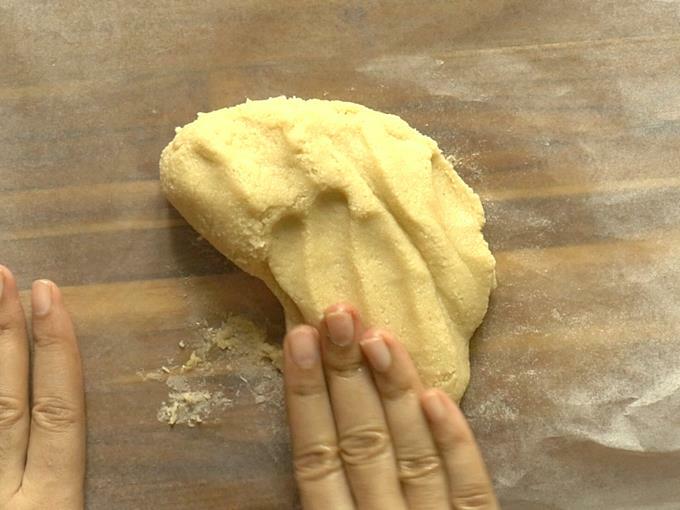 While the mixture is still slightly hot or warm, grease your palms and knead it for 2 to 3 mins to a smooth crack free dough. ( To fix ) If your kaju katli mixture tends to stick a lot, it means it is still underdone. So add little milk powder and knead. if your mixture looks dry, sprinkle some boiled and cooled milk and knead. Place the ball on a greased aluminum foil or a butter paper and cover it. 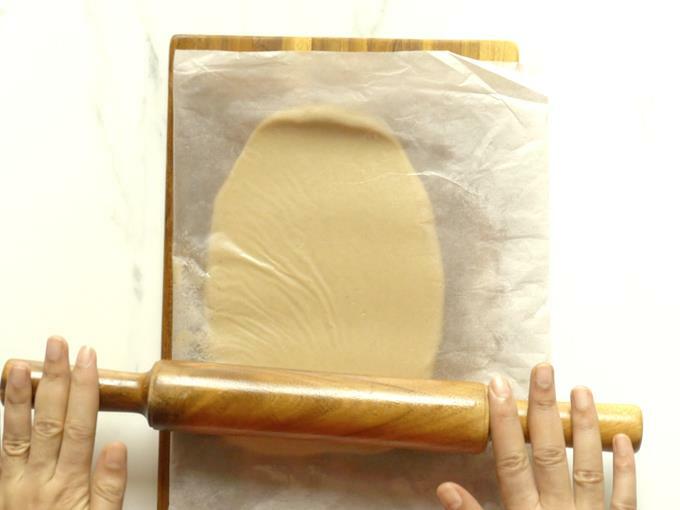 With the help of a rolling pin, roll it evenly to ¼ inch thickness. Cool completely and cut to desired shapes. Store kaju katli in an airtight box. If you have used milk while kneading refrigerate and use. Water: Please stick on to the quantity of water mentioned in the recipe. 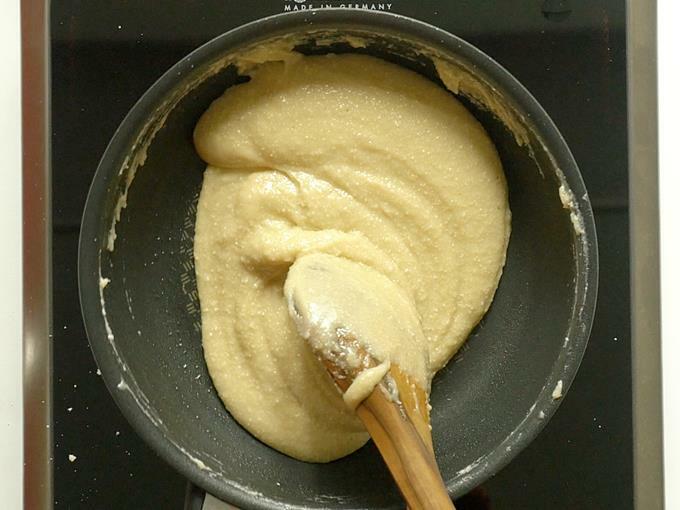 If you add even little more water than mentioned in the recipe, you will have to cook the mixture for longer. This will alter the taste of kaju katli. You can also boil the sugar syrup until it reaches 1 string consistency. Then add the cashew powder. Mix well and add ghee. Cook until the mixture leaves the sides of the pan. When it cools down a bit. Knead it well and follow as mentioned above. 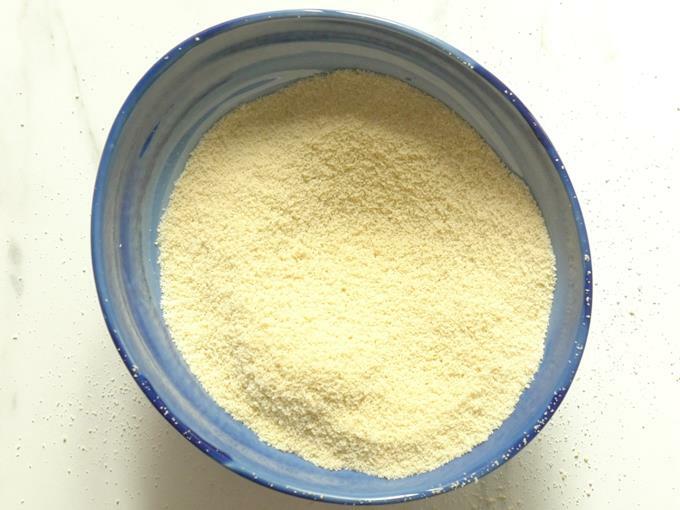 Milk powder is not needed unless, the mixture is under cooked. To help the burfi set, use it. 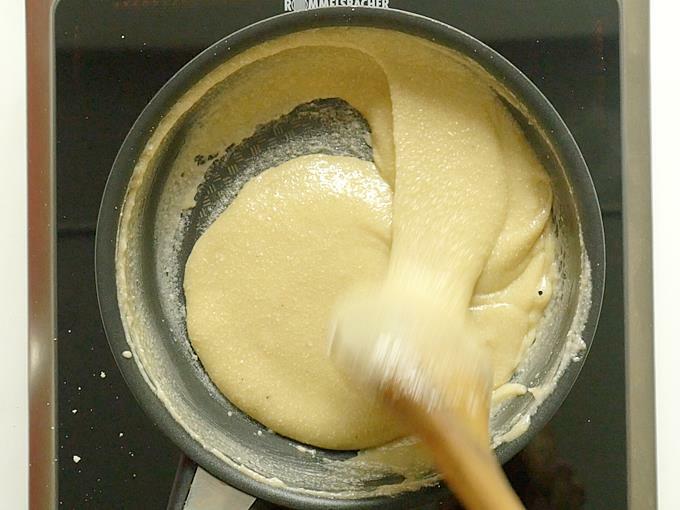 Before adding the cashew powder, make sure sugar has melted completely and has begun to boil well. 1. 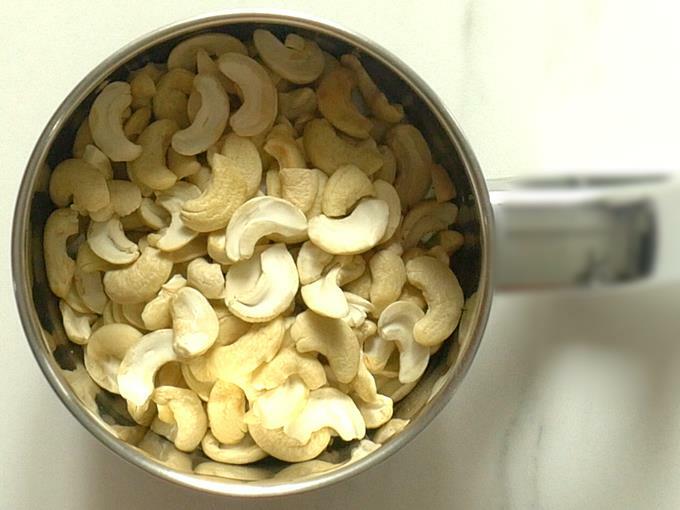 Add cashews to a blender jar. I had used cashews from fridge. I split open the cashews and then dry roasted on a low flame until crunchy. I used 1 & 1/2 cups split cashews which weighed 200 grams. 2. Pulse or blend to make a powder. Do not blend at a stretch for long time as they begin to release oil and turn lumpy. I usually blend the cashews in intervals. Also make sure the kaju powder doesn’t turn hot or even warmas it changes the flavor. 3. To make sure the cashew powder is not too coarse I sieved it. You will need to use a spoon to pass it through the sieve. 4. I added back the coarse grains and blended again. 5. The cashew powder will be slightly grainy but not fine like flour. You can also split this kaju katli recipe and make the powder one day ahead. Store it in a air tight jar and use within the next 2 days. 6. 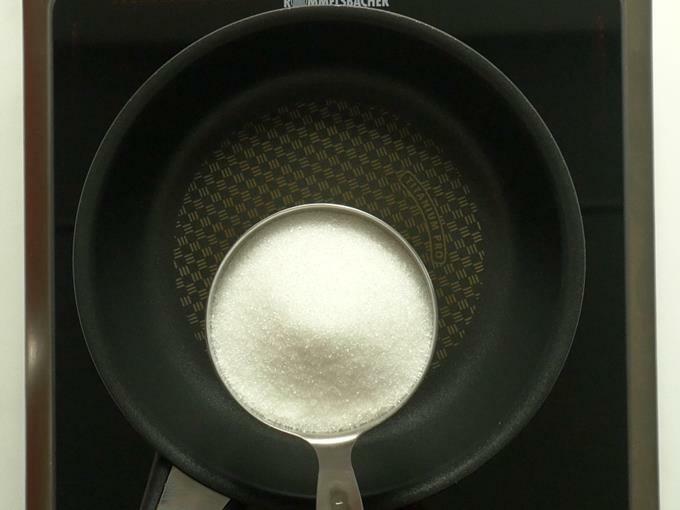 Add sugar to a non stick pan. I used 3/4 cup + 2 tbsps. The sweetness was right for us. If you prefer less sweetness then you can reduce 2 tbsp. 7. I poured 6 tbsp water. Pouring too much water is not right for this method as the mixture will have to be cooked for longer. So measure the water correctly. 8. 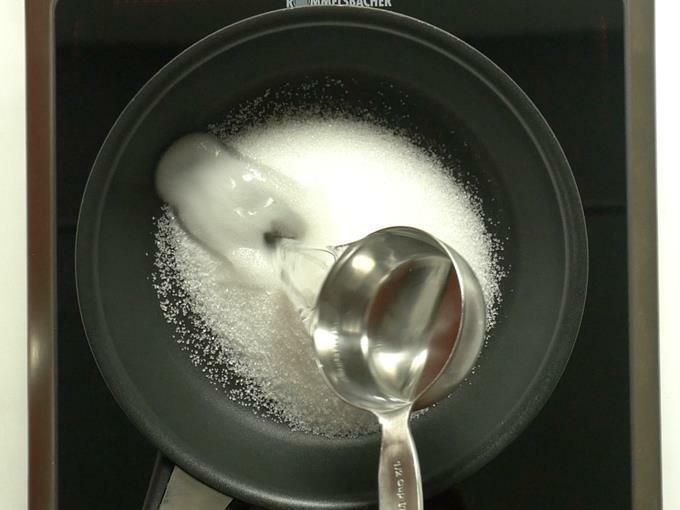 Stir gently and dissolve the sugar completely on a medium heat. Sugar can scratch up the nonstick pan so be gentle. Bring the sugar syrup to a rapid boil. 9. Next lower the flame completely and add cashew powder. I added in 2 batches. You may end up with lumps if the entire powder is added at one time. 10. Next mix very well to ensure there are no lumps. Scrape the sides and the spoon if the powder is stuck. 11. 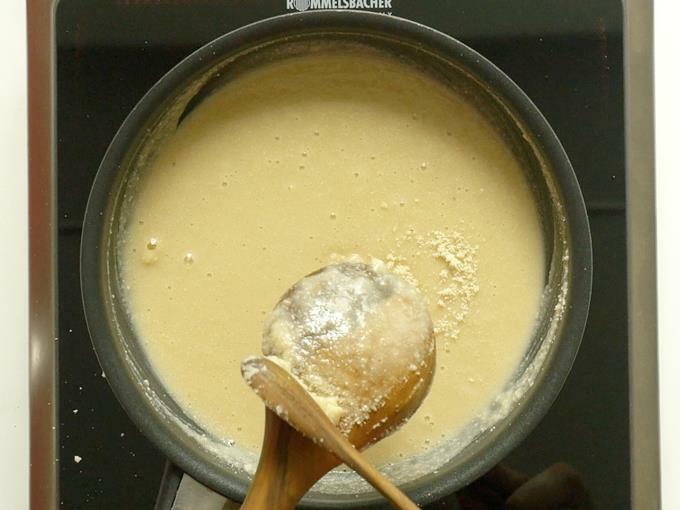 Keep stirring the kaju katli mixture consistently and cook on a low to medium heat until the mixture begins to thicken. 12. Next add 2 tsps ghee and 1 tsp rose water or cardamom powder. 13. Next continue to cook stirring well. 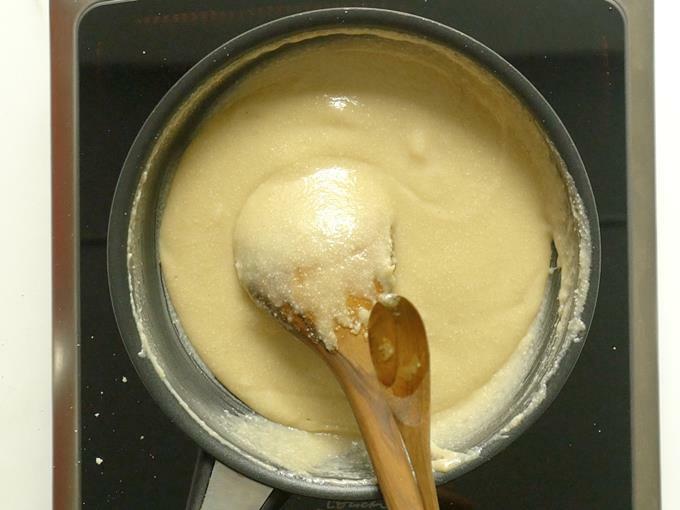 As the mixture thickens it will leave the sides if not then add a few drops of ghee again. 14. With in few mins the mixture will come together and leaves the pan. When the kaju katli mixture is done, set the pan aside. Take 1/4 tsp of the mixture and cool down a bit. Grease your fingers and make a ball out of it. You must get a non sticky dry ball. This means the mixture is ready. If you do not get a dry ball it means the kaju katli mixture is under done and needs cooking further. 15. 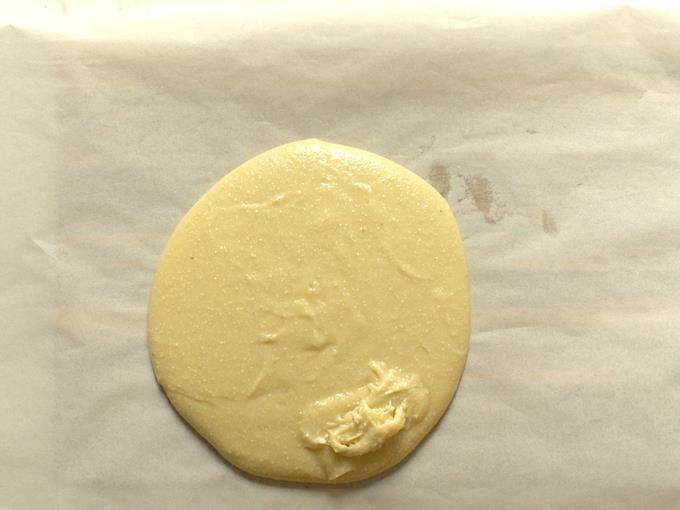 Next quickly pour the prepared mixture to a greased plate or butter paper. 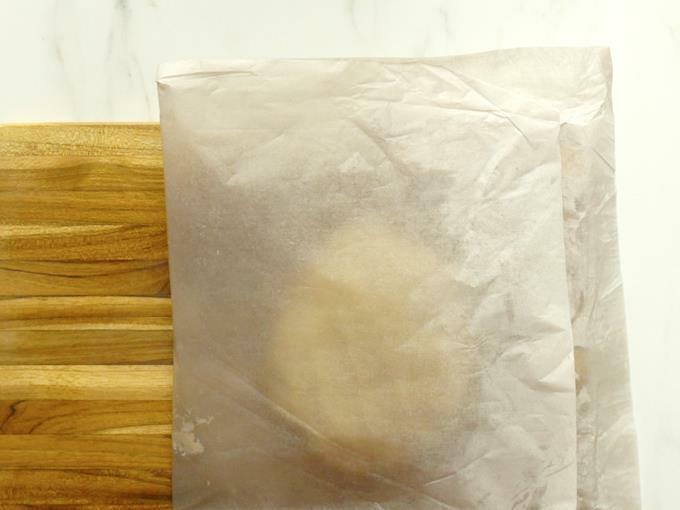 If using unbleached parchment paper then grease it first and use. 16. When the temperature comes down to slightly hot or warm, then grease your hands and knead it well. 17. With in 2 to 3 mins the mixture will turn smooth. 18. Next cover the kaju barfi mixture. 19. Roll it to a oval shape of 1/4 inch thickness. 20. Lastly cool completely and cut to square or diamond shapes. I cut them to the size of Haldiram’s Kaju katli. You can cut them slightly bigger if you like. Most often vark or edible silver foil is placed over the kaju katli. If you prefer you can do it after slicing it. Store kaju katli in a air tight jar.